Myfxbook is a popular platform which provides traders with a variety of tools to support their trading. It was their Portfolio tool which made this site popular in the forex trading community. The Portfolio feature allows traders to export all of their trading histories from their trading account to their Myfxbook profile. The trading history is used to create your profile which highlights your trading performance with the use of graphs, charts and tables to highlight key metrics. Some traders use these profiles to share their success and strategies with other traders. cTrader was integrated with Myfxbook in the summer of 2013. 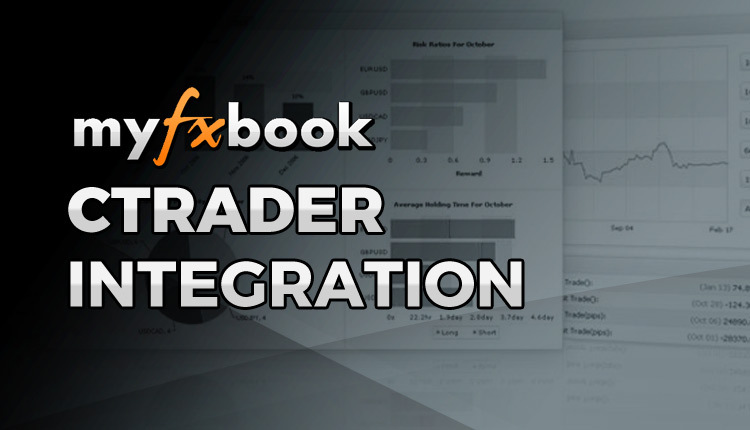 This integration allows any cTrader user to seamlessly synchronize their trading performance with their Myfxbook followers. This is all thanks to the use of a cTrader ID. As mentioned in the introduction, Myfxbook is a platform which offers a variety of tools to forex traders. Besides their most popular Portfolio tool, the site also offers some other tools such as an economic calendar, calculators and copy trading. The userbase of Myfxbook is extensive and just like a social media platform such as Twitter or Facebook, a large community is needed for its success. Myfxbook is probably the industry standard when it comes to sharing your trading strategy or ideas. But why exactly do traders want to use Myfxbook and cTrader? Unlike other trading platforms such as MetaTrader 4, cTrader has it’s very own section specifically designed for you to review the performance of your trading strategies or robots. Unfortunately, the cTrader Analyze section cannot be shared with third parties. Some traders like to share their performance for feedback, suggestions where to improve, recruit investors or simply to gloat. The main benefit of Myfxbook for cTrader users is that they can share the details of their strategies to their trading peers, mentors or mentees with a variety of privacy settings. Thanks to the seamless integration between the two competent technologies getting started couldn’t be easier. Assuming you already have a cTrader account, just follow these simple steps to get started. Create an account with Myfxbook. Click the activation link sent to your email inbox. When you are directed to Myfxbook you will already be signed in. In the menu, hover over “Portfolio” and select “Add Account” and then select “cTrader” from the menu. Next, you are redirected to the Spotware Connect site. Here you need to sign into your cTrader ID. Once you are signed in, you pass through to the next step. On this next screen, you need to select the permissions you agree to share with Myfxbook and for which trading accounts. Select the accounts you want to link. Then you are taken back to Myfxbook. Here you are required to assign a name to your account. After you have entered the name, press “Add”. Wait for the numbers to be crunched and hey presto, your account is synched. Traders who have switched to cTrader from MetaTrader 4 can get confused when working with cTrader. The main concept confusing traders is cTrader ID and this is what’s used when syncing your account with Myfxbook. We suggest reading our guide on How to Solve Problems Signing Into cTrader ID. You may have different accounts linked to different email addresses and therefore cTrader IDs. This can happen if you have used different emails when signing up with different brokers. When you create a cTrader account with your broker, they will link it to the email address they have in their records and it may not necessarily be the same one as you use with your cTrader ID. You should discuss this issue with your broker directly. 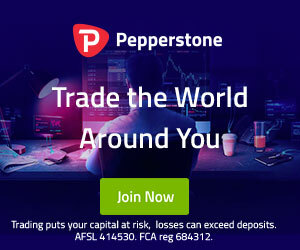 When you link your account to Myfxbook there are four possible statuses that show if your account is actively connected or otherwise. The possible statuses are Active, Pending, Processing and Failed. Failed status is obviously not good and there are two common reasons for this status. The first reason is Spotware (the company that created cTrader) uses the weekends to update cTrader servers. While the servers are being updated, some services, such as this one will become unavailable or interrupted. The second reason is the account which you see this failed status is inactive or deleted and Myfxbook cannot retrieve the data. Indeed there can be technology faults and other issues that can cause connectivity problems. We still think it’s good to rule out the basics before contacting Myfxbook and Spotware for investigation of the issue.